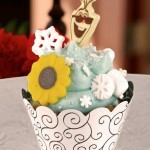 If you are visiting Disney’s Beach Club Resort in Walt Disney World and you’re hungry for a bite, you’ll soon find that your counter service options are pretty limited here. 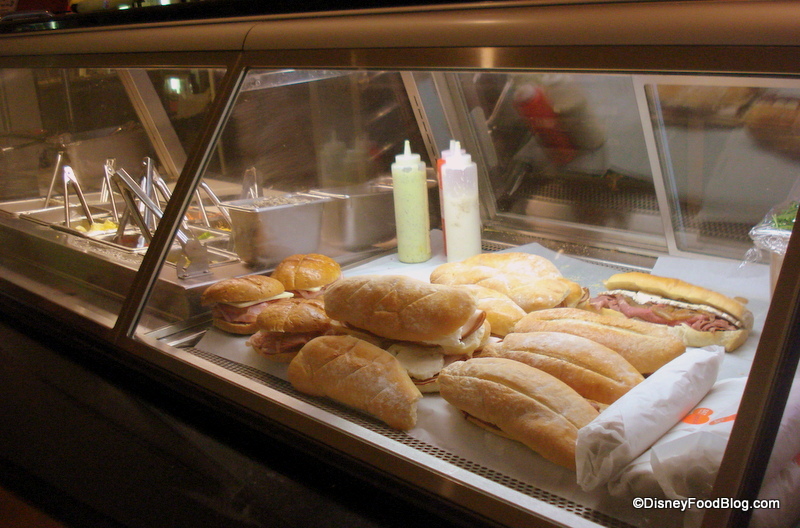 Fortunately, you can get a decent sandwich at the deli counter of Beach Club Marketplace. The Marketplace is the Beach Club Resort’s gift shop, so at first glance it may not feel very deli-like. 😉 There are a few tables outside that hint at the fact that you’re near food. It’s not usually so crowded that you can’t find a spot. I especially love the really pretty setting outside, with the clean, bright white tables and chairs. Once inside, your suspicions are confirmed: there’s more available here than just souvenirs. 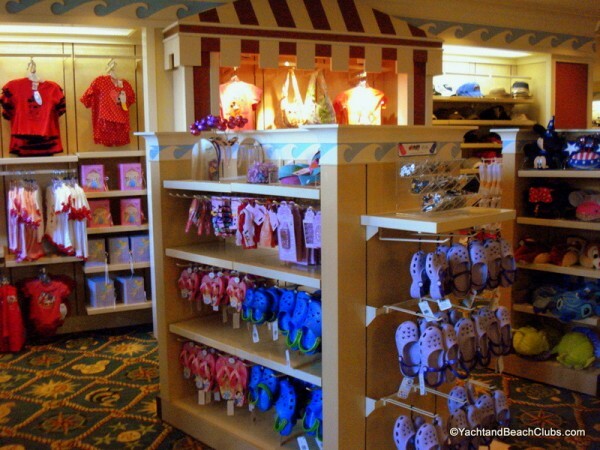 As you make your way to the sandwich counter, you’ll feel a little like you’re in a Disney-themed general store! If you are after staples, both the refrigerated section and an assortment of dry goods can provide you with a few necessities to supplement your restaurant meals with foods prepared in your room. 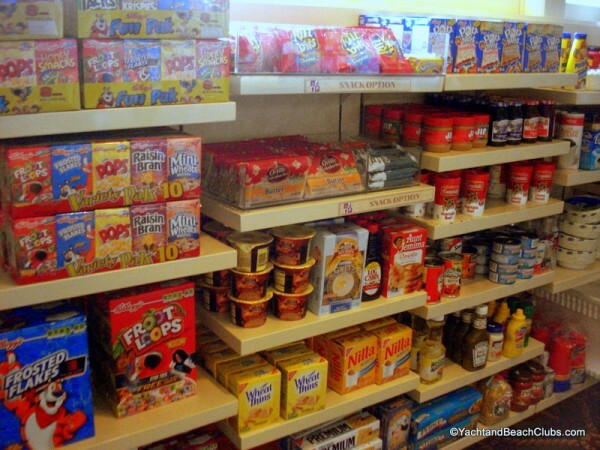 Breakfast items, sandwich fixings, peanut butter and jelly, paper goods, and beverages are all available here. 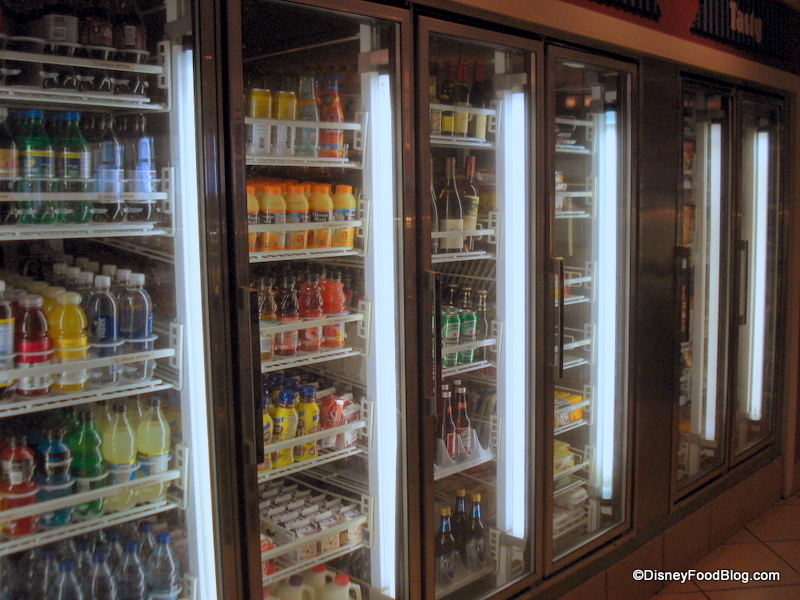 Guests will also find the full Disney beverage set up, comparable to other resort counter service stops around property. 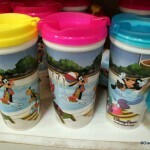 Refillable mugs for soda, coffee, and tea are available here. And if fountain drinks and coffee don’t appeal, there is a large assortment of bottled drinks, including chilled beer and wine. 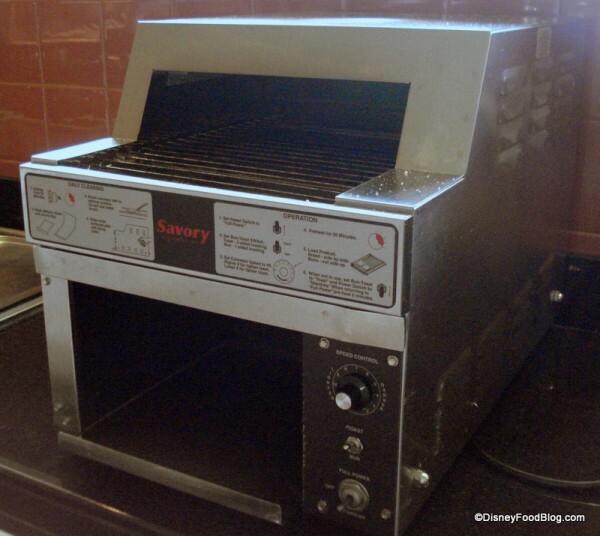 There is a toaster and a microwave as well for basic cooking needs. 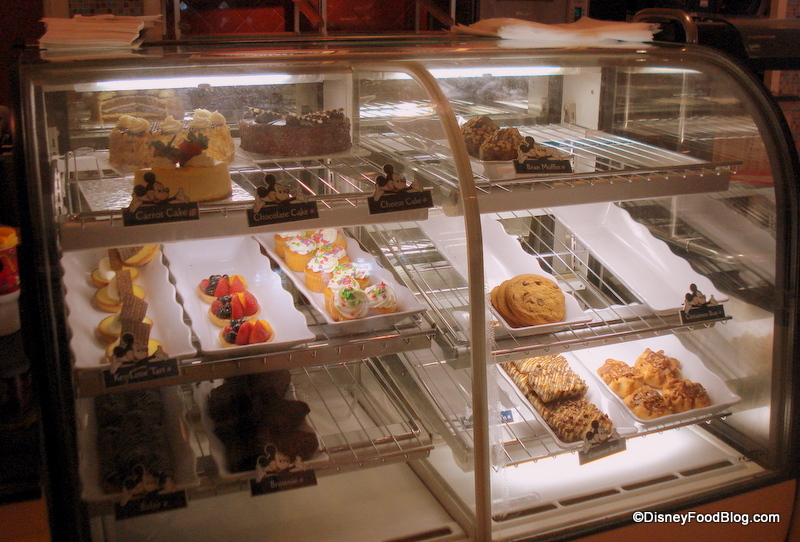 But we were wanting grab-and-go, so we went straight to the Deli area where you can have sandwiches and flatbreads made-to-order, and indulge in some yummy baked goods. There’s no signage to show you the way to the sandwich counter, and it really feels like an afterthought. The counter usually offers several different types of hot and cold sandwiches, and often a “flatbread-of-the-day.” The food isn’t bad, but the several times I’ve been here, it’s usually out of necessity — I’m starving and am late for an appointment, or it’s late at night and I don’t have time to go anywhere else. 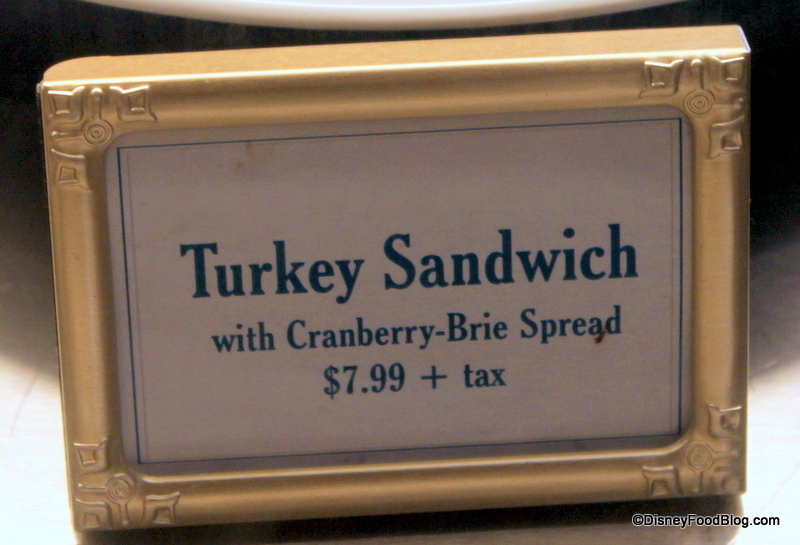 As we stepped up to the sandwich counter, we could see several “in-progress” sandwiches. Choices were somewhat limited, but my husband and I both found something that appealed to us. 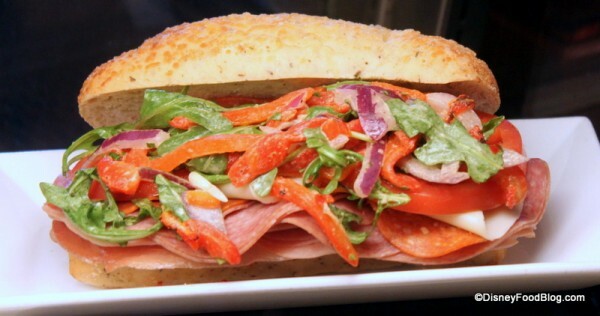 He liked the looks of the Italian Sandwich for $7.99. The sandwich in the display case featured a generous assortment of meats, cheeses, and vegetables, on a lovely cheese-encrusted roll. He opted to have the sandwich toasted, and he thought the result was good. Once it was piled high with vegetables and cut in half, we could see that this was a very generous sandwich. 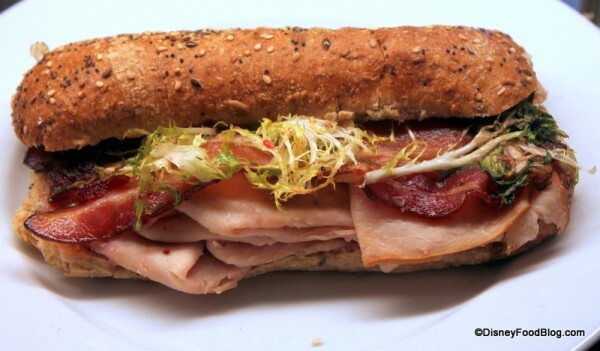 No skimping on the cheese or cold cuts here! He really enjoyed it, and remarked that it wasn’t too spicy, even with the peppers. With the amount of toppings on the sandwich, we thought that two not-as-hungry people could easily split this one. 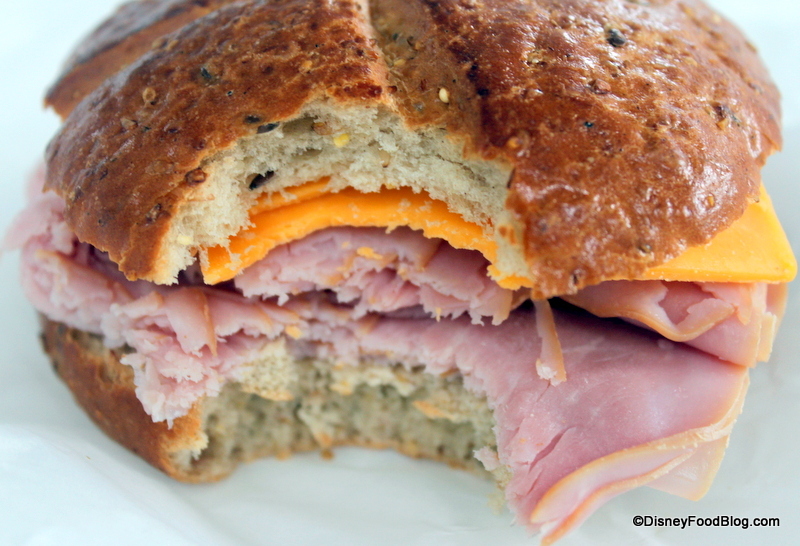 I opted for the Smoked Ham with Cheddar Sandwich, which was a slightly simpler option and $6.99. 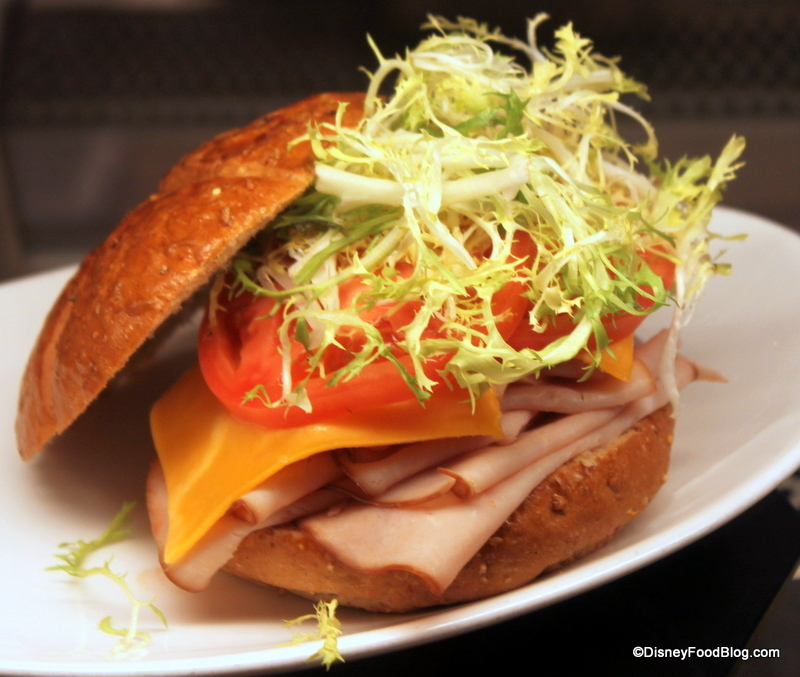 Now, as you can see from the display, the sandwich comes with a hefty serving of frisee as well as tomato slices. But I decided to skip the veg. Just like a chain sandwich shop, sandwiches can be made to order so you can add or subtract toppings to make your sandwich just the way you like it. The multi-grain roll, as well as the meat and cheese, were delicious. While not as large (or as expensive) as the Italian Sandwich, I found the portion to be just right. 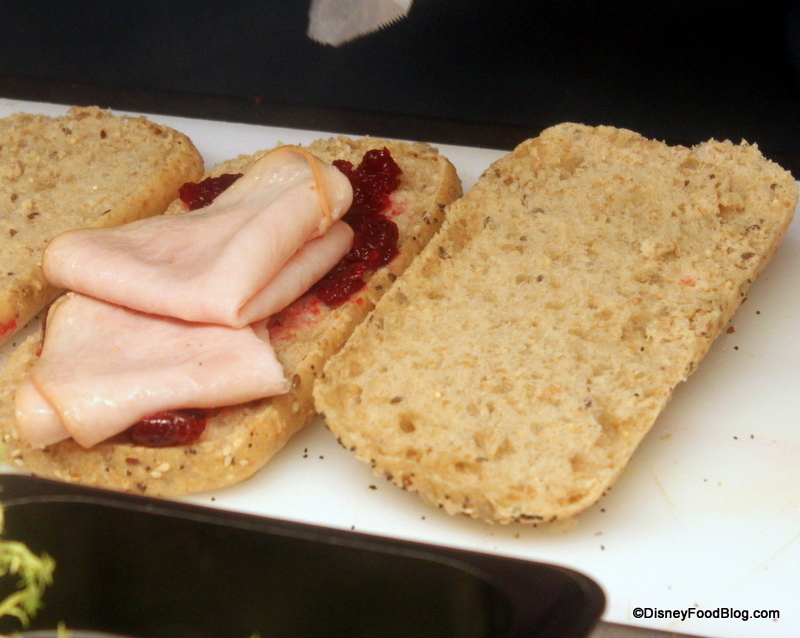 We were also interested to see this other fun option, the Turkey Sandwich with Cranberry-Brie Spread. Even though I suspect that this version of turkey sandwich is seasonal (we were visiting during the Fall), I had to share pictures with you because this one looks really delicious! 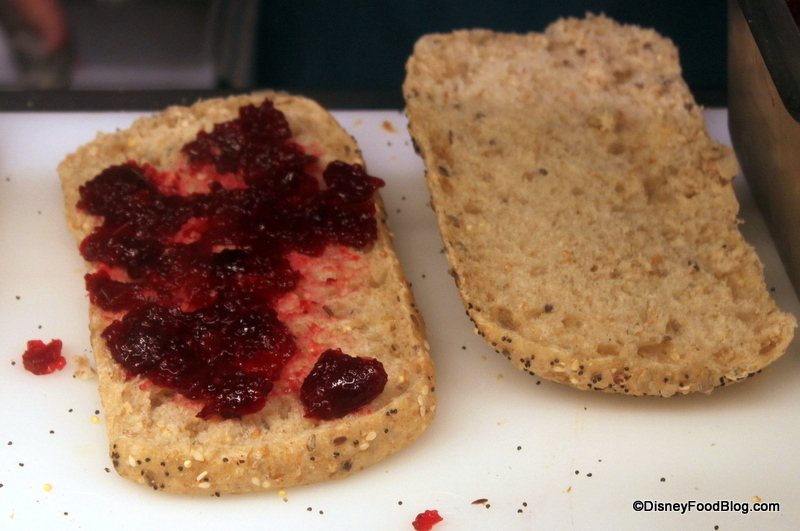 First, the roll gets a healthy smear of whole cranberry sauce. Next comes a generous portion of sliced turkey breast. Once the berries and turkey are in place, it’s time for the toppings. Brie cheese and frisee bring rich, creamy, and bitter flavors to the party. 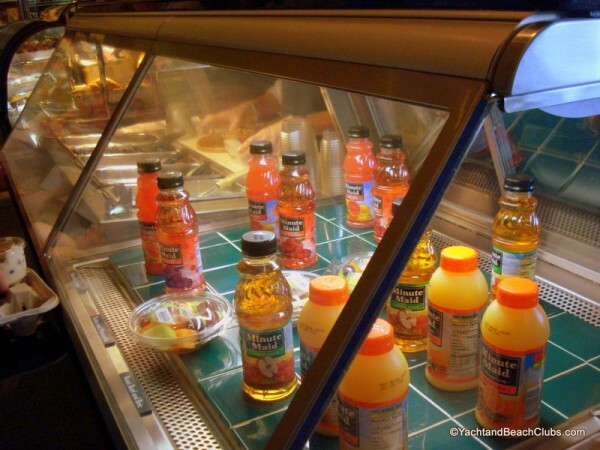 As you head to the register to pay for your sandwiches, you can also choose from a couple of prepared items, such as fruit salad or bottled juices, from the cold case. And let’s not forget the desserts! If you’re in need of something to satisfy your sweet tooth, you’ll also find a selection of pastries to round out your meal. Like I said, I usually only eat here out of necessity, but when hunger pangs strike (I know…how could I possibly be hungry doing the job I do? You’d be surprised what strange hours I keep…), I’m usually glad this spot is there. The sandwiches are fresh and the portions are good, and the interesting rolls really set the sandwiches apart. I also prefer having the ability to customize my sandwich rather than pick up a grab-and-go option. Have you tried the sandwiches at Beach Club Marketplace? Let us know below in comments! On our last trip, we found the food here much better than at Hurricane Hanna’s. They do lovely breakfast options if you aren’t rushing off to the parks but on hot days when Stormalong Bay is busting at the seams, finding a table can be a mission in itself. You missed out on the best thing there — the coconut bars. 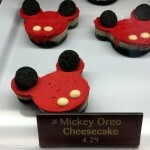 EASILY my favorite dessert in all of WDW. 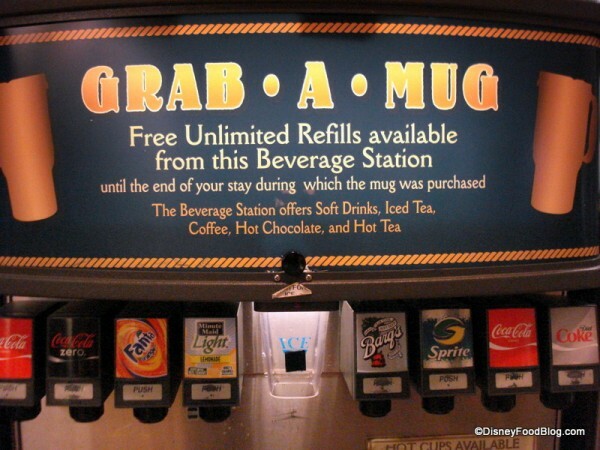 I’ve been known to sneak out the back of Epcot just to grab one of those. 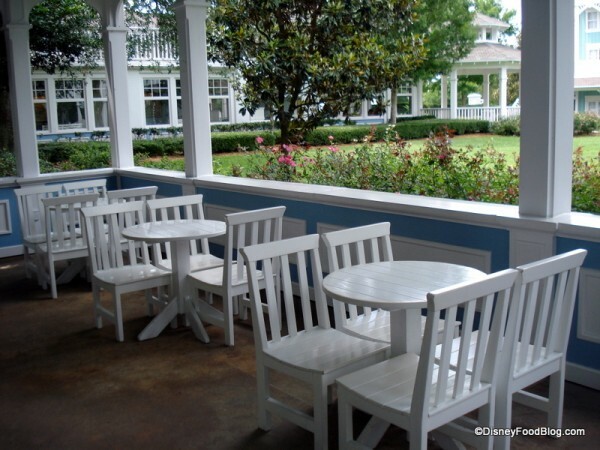 The Beach Club Resort is our favorite (and only) place to stay when we visit the Walt Disney Resort area. 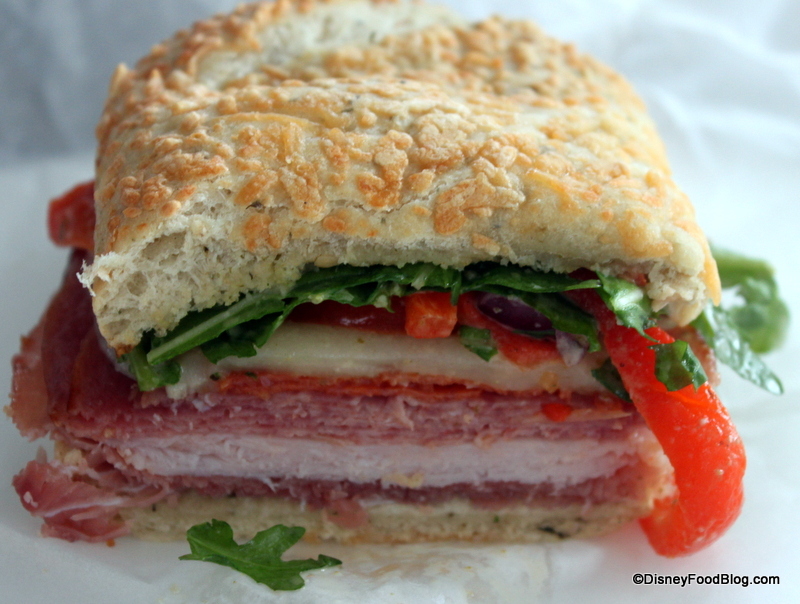 The sandwiches are the Marketplace are delicious. You should go only if you are willing to wait a long while for your food though! The service is horribly slow and the cast members are not very pleasant. Early on you hit on something that I have a real problem with Disney. Now I understand probably 80% or more of the people at DVC resorts may not be under a dining plan. That said, if Disney is going to continue to market and offer great deals at DVC resorts they have to expand their counter service offerings at these places. I have now stayed at 4 DVC resorts and none offer a good breakfast like you would get at a regular resort. A major oversight at the marketplace, and the entire resort for that matter, is the lack of espresso and latte/cappucino offerings. 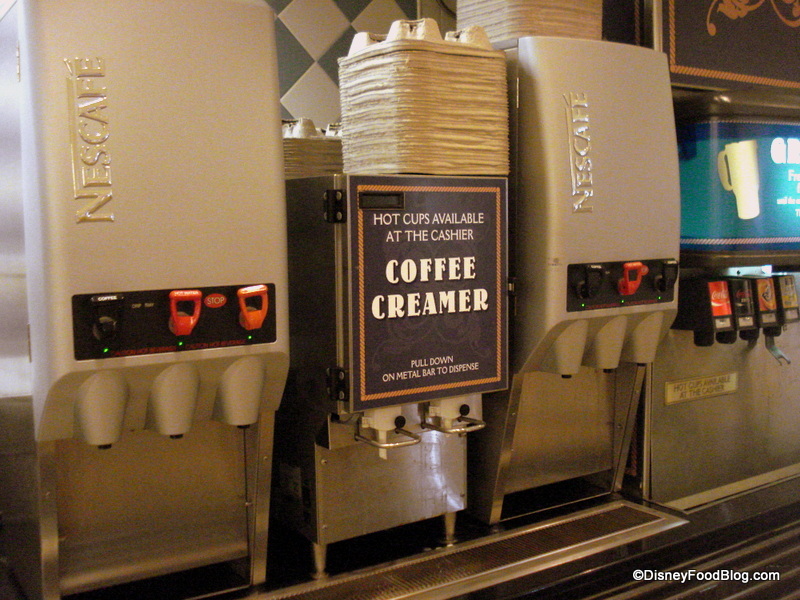 You either have to walk to the Boardwalk or Epcot if you prefer these over coffee. 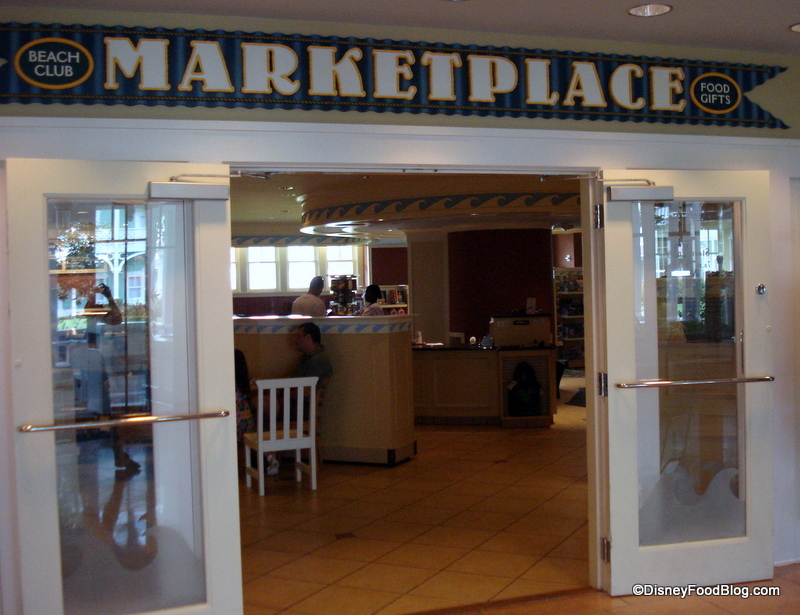 We once found ourselves hungry and rushing to catch a bus to the Magic Kingdom, so we swung by the Marketplace for sandwiches on our way out the door. I think I had a roast beef & cheese sandwich that, as I recall, was pretty decent. The breakfast pastries here are pretty good. 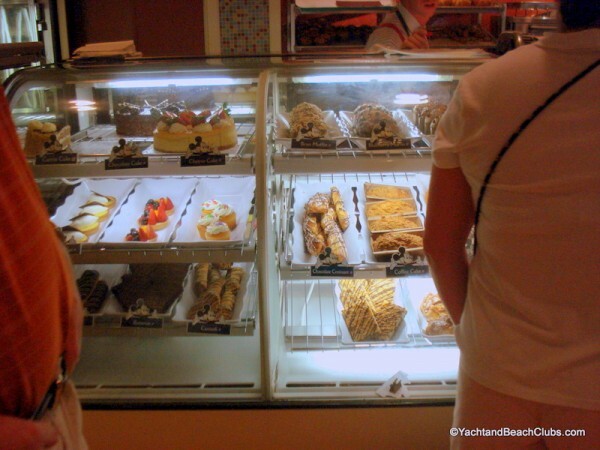 On our visit last December, my mom and dad were buying pastries here almost every morning (despite the fact that we had plenty of breakfast food in the villa!). Sarah — Such a good point about finding tables at Hurricane Hanna’s! Josh — I don’t know if I’ve tried them! Thanks for the recommendation! Sunny — Thanks for your review! Do you have a favorite sandwich there? Mike Venere — That’s a great point. 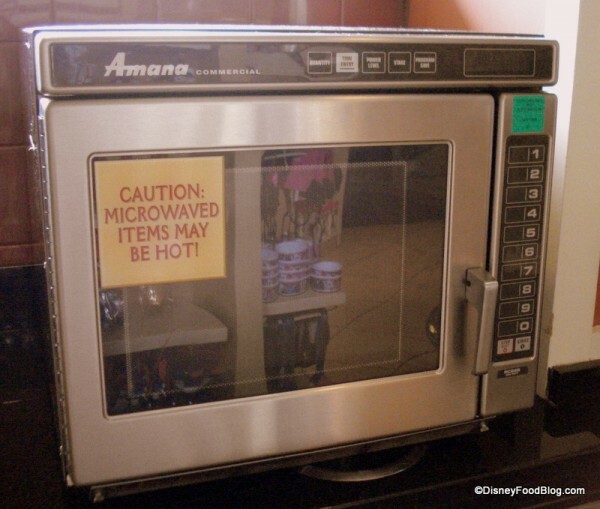 I think they DVC members are expected to make breakfast in their rooms, but it is always nice to have a counter-service option for that…especially if you’re in a studio! 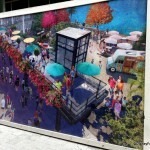 Luis Rodriguez Jr — Thanks for making that point and calling attention to it! We have stayed at the beach club about 6 times. And i must say that the marketplace has gotten better with their offerings. The oldmarketplace didnt have much. We usually reserve a few pool days and eat here a few times a year. The cold cuts and meats were very fresh and not skimpy. The salads are very good here too. We prefer it to Hurricane Hannah’s which is crowded, and normally has spotty service. Actually, on a different note – I was pleasantly surprised with the breakfast sandwiches and the breakfast pastries were terrific. Hot, fresh and a great variety. One thing that I must say is that the service at the Market place is tremendous. The staff there really care about you getting a good meal. 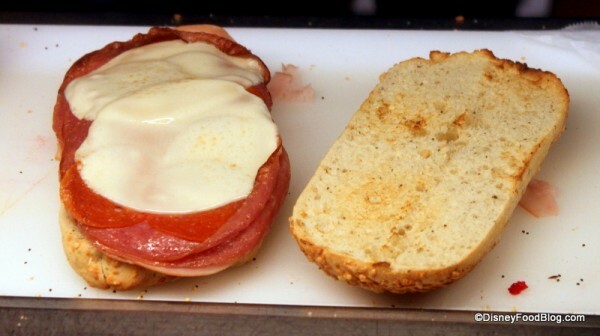 The Italilian sandwich looks so good. It reminds me of the best hero’s in the world that are served in Portland Maine. I’ve picked up the ham, egg & cheese croissants many times for taking back to the room or on the way to the park. They’re pretty good – and can actually get a little protein in instead of just carbs from pastries. I didn’t even know this place existed. I wonder how many people do. It still boggles my mind how little effort Disney puts into its walk-ups or quick service places in every hotel above a moderate. Even though they have gotten better the places pale in comparison to the quick service / food court offerings and quality at the lower priced hotels. Don’t even get me started on their size, which is often smaller than a Subway Sub Shop. I wonder if they expect everyone who stays at one of these places to want a full sit down meals all the time. I had a taste for the roast beef and brie to take with me back to the airport a couple months ago, but I was denied. The turkey and ham choices were the only ones on the menu that day. I think they must rotate the beef sandwich or something. I was a little bummed, and I didn’t buy any sandwich. They used to have a roast beef and brie sandwich that I really miss. But seeing that Turkey with cranberry and brie makes me think I may have found a good replacement. I’m with Galloping Gourmand on this one. For the amount that they’re charging for rooms at Beach Club, it’s fair to assume that guests would be willing to pay a few more dollars if there were a better quick service option. If you compare this to Monorail-area resorts, it no longer feels “Deluxe”. I completely agree with a previous poster, about the lacking counter service options in anything above a moderate (and even that is less than a value!). We usually stay at AKL – Jambo House – and the options at The Mara are severely limited. Its tempting to go down the road to Pop Century, or even better, Art of Animation! Their counter service options look fab! 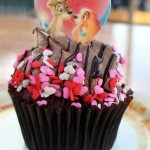 Just because we’re staying Deluxe or even DVC, it doesn’t mean we’re going to be eating at restaurants the whole trip. We’re going this September for two weeks and have upgraded from free dining to the deluxe plan – thats 42 credits each! Even with our schedule jam packed with signatures, we’re still going to be eating some counter service meals, I don’t think I could cope with a restaurant-only trip! Our favorite is the roast beef, which is seldom there anymore, unfortunately. Carmelized onions put it over the top. Every time I ask for it, they tell me it will be there on ……day. I think we’ve been there every day because we live here now, and it’s never there. 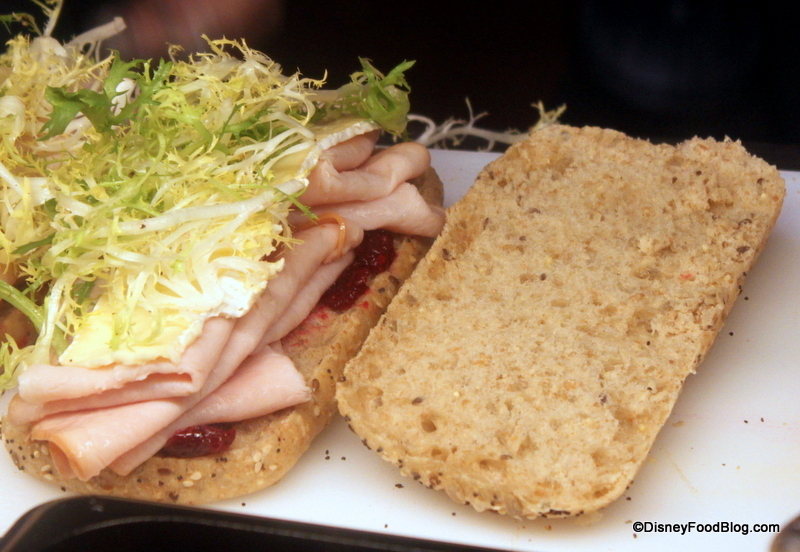 The turkey and cranberry sandwhich has been there all summer, so far. I really like it, too.